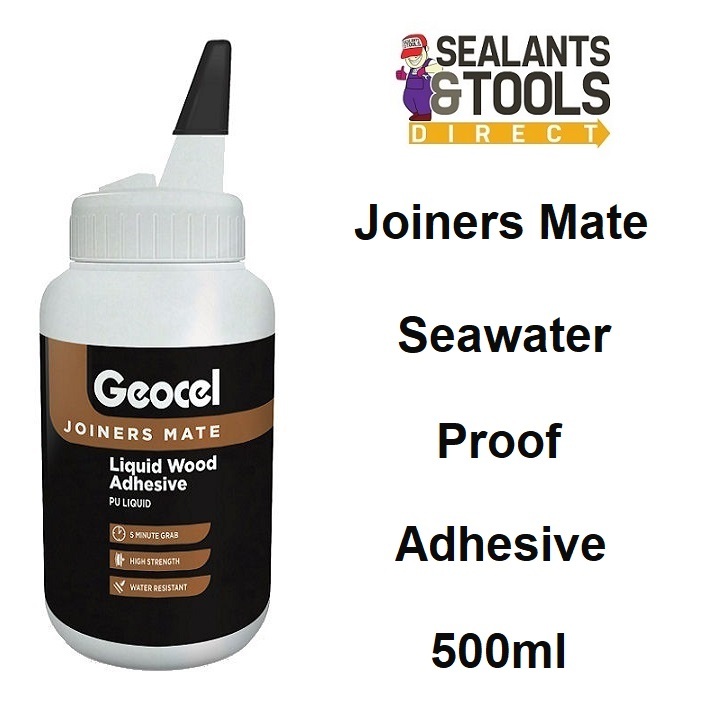 Geocel Joiners Mate Liquid, wood adhesive is a one part, rapid curing, water resistant polyurethane adhesive for joiners which conforms to BSEN 204 Class D4. It is a moisture curing liquid which expands slightly to increase bite strength. See the full range of Geocel Products available from stock.